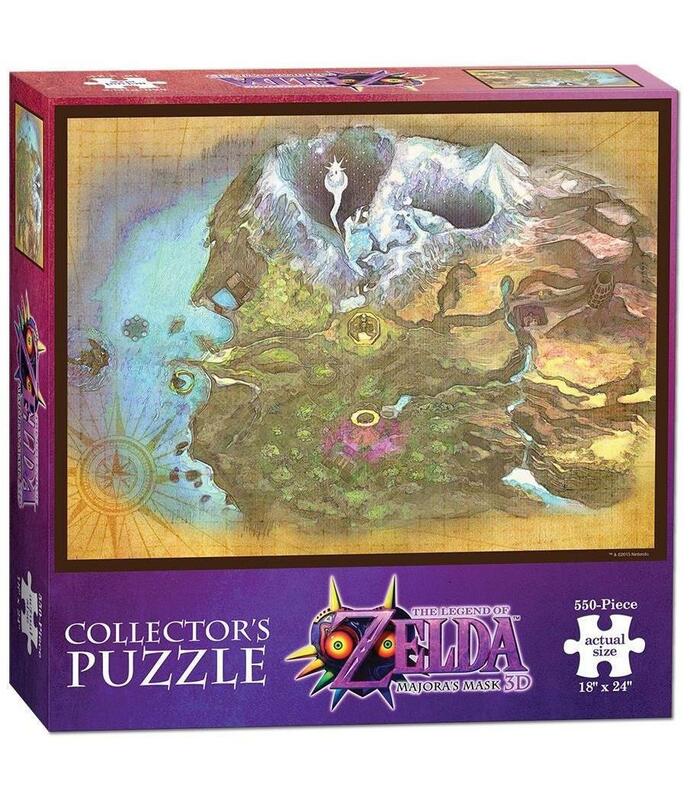 Travel through Termina as you piece together The Legend of Zelda: Majora's Mask - Map of Termina 550-piece collector's puzzle! From the Southern Swamp to Snow head, the world is yours, as long as you save it in time. Puzzle measures 18" x 24" when assembled. This item can only be shipped to North America - No exceptions! 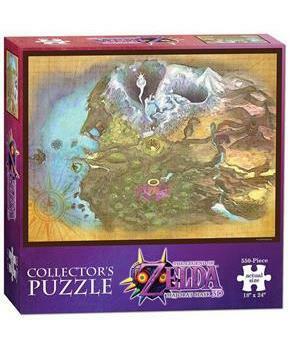 Travel through Termina as you piece together The Legend of Zelda: Majora's Mask - Map of Termina collector's puzzle! 550 piece collector's edition puzzle. Puzzle measures 18" x 24" when assembled. From the Southern Swamp to Snow head, the world is yours, as long as you save it in time.